As a blogger, there are several tools I use on a regular basis that help me streamline my process and publish new posts each weekday. I always find it interesting when my favorite professionals and creative entrepreneurs provide an inside look at how they get their jobs done, so today I'm giving you a look at 10 things I can't blog without. While some blog post ideas come to me during focused brainstorm sessions, my best ideas come at the most random times, like when I'm riding in the car, blowdrying my hair in the morning, or meeting a friend for breakfast. My simple Notes app on my iPhone regularly comes in handy by allowing me to quickly jot down my ideas so that I can refer back to them later. Another advantage of using this app is that it syncs up to my MacBook and iPad through iCloud, so I can access my running list of blog post ideas on multiple devices. I've discovered that it's always easier to create blog content when you know what to plan for. 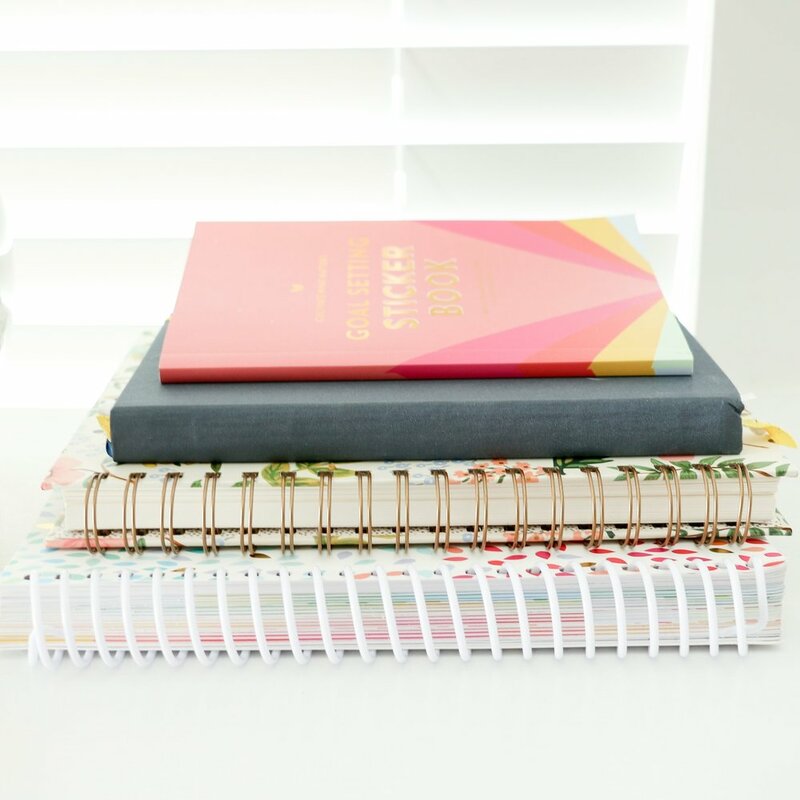 I use my printable blog calendar from the Elle & Company Library to plan out my blog posts ahead of time, which allows me to see posts in light of the whole month and be more intentional about what I'm posting. My blog calendar also helps me vary my blog post content by spacing out articles in different categories and posts types. I have a tendency to write posts directly in Squarespace, which wouldn't be a problem if I didn't also have a tendency to forget to save my work. There have been many times where I've gotten wrapped up in a post for an hour or two, lost internet connection for a quick minute, and ended up losing all of my hard work. That's never fun, so I finally decided to break my habit and begin writing blog articles in Google Docs instead. Not only does Google Docs save changes to each document as I make them, but it allows me to invite someone in to edit the document on his computer, too. While Google Docs is a lifesaver for saving posts, my text doesn't always appear quite like I would like it to when I copy and paste it into Squarespace; it tries to take on the font family and font size of Google Docs. This creates strange spaces and causes the blog post text to look different from the body text on the rest of my website, which doesn't look cohesive or professional. To prevent all of this, I often copy and paste my finished article into TextEdit, convert it to plain text to remove the formatting, and then copy and paste it once more into Squarespace. It takes a minute or two and an extra step, but using TextEdit is a great (free!) resource for ensuring that my text appears correctly within my blog window. After all, Squarespace is what keeps this blog up and running in the first place! This website building platform made creating this blog and website a breeze, and it's my all-in-one for my domain name, hosting, and content management. It's simple drag and drop format makes it easy to create and format posts by bringing in text and images, and its templates allow my blog to be viewed on both desktops and mobile devices. Squarespace has been crucial for keeping up with this blog. View the 'Blogging with Squarespace' webinar here. Illustrator is my go-to for blog graphics. I created a template and visual style for my blog posts months ago, so each time I'm in need of a new graphic I pull up Illustrator, add type, change colors, crop images if needed, and save the file (all of which takes less than 5 minutes). Illustrator has also been helpful for customizing the design of my blog and creating inforgraphics. 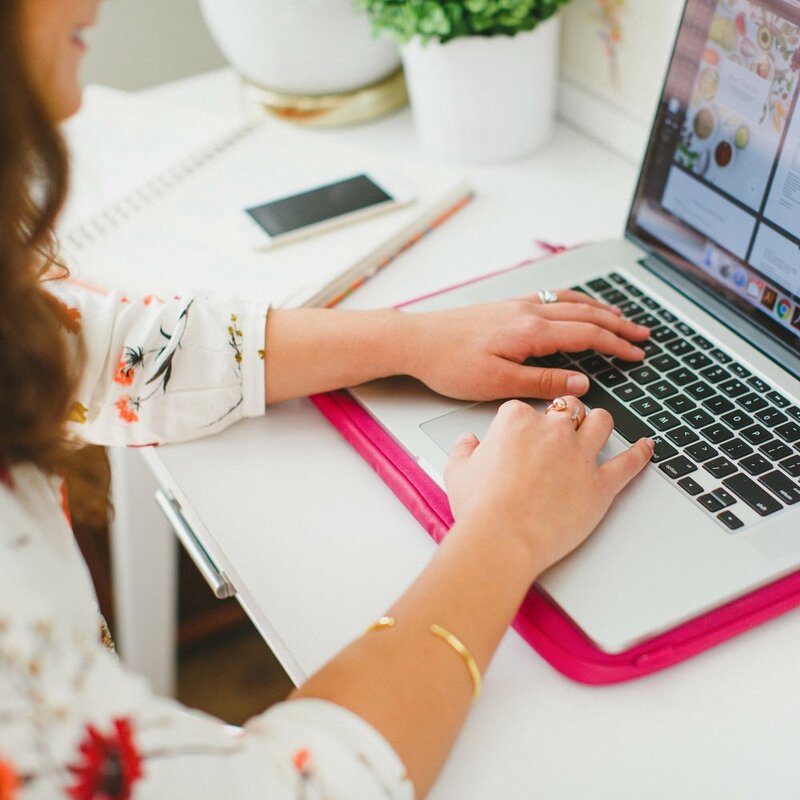 Sites like Twitter, Pinterest, Facebook, Google+, Instagram, and Bloglovin' have all been invaluable for getting new Elle & Company blog posts in front of my audience each weekday. Not only does social media allow me to market each post for free, but it allows my audience to share Elle & Company blog posts, too. Google Analytics is a great tool for tracking audience engagement. It allows us to see where Elle & Company blog traffic is coming from, how many visitors are on our site at one time, how long visitors stay on our site, how many pages visitors click around on, etc. From this data, we are able to analyze which posts our audience enjoys most so we can continue producing similar content. Every blog comment and form submission notification is sent to my Gmail inbox, which keeps me from having to manually check Squarespace for updates. Gmail also allows readers to contact me directly, which has been great for providing my audience with more individualized feedback. I choose Gmail over any other email system because of its simple layout, seamless connection to other Google apps like Google Calendar and Google Docs, and its integration with Google Chrome. It's always helpful to have someone to bounce ideas off of and partner with you, especially when it comes to blogging and business. My business partner happens to be my husband. Jake has been the best resource for blog post ideas, marketing strategies, and feedback (he's also a pretty great DJ and coffee maker for those late night blog writing sessions). Partnering up with him has completely transformed this blog, and this venture wouldn't be the same without him on board. It's your turn! What are 10 things you can't blog without?